Patrons entered the Colonial Theatre before a show. Emerson College has a well-known and justly praised commitment to advancing the theater arts in Boston, as demonstrated by its restoration of the Cutler Majestic Theatre, the Paramount Center, and the establishment of ArtsEmerson. This is a legacy of which we are enormously proud and one that we are committed to extending. As recent news about major Boston performing arts organizations attest, the landscape for theater is undergoing a transformation that creates serious financial risks for the business of performing arts. These realities, combined with the substantial deferred maintenance at the Colonial Theatre, require Emerson to consider a new way forward for that venue. 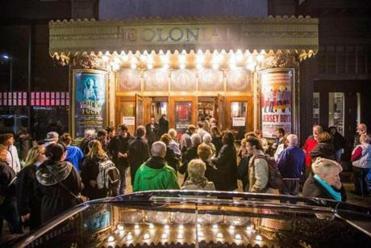 The Colonial was built to support Broadway productions. When Emerson bought the Colonial and an adjacent building for classroom, office, and student residential space in 2006, the intention was to allow the Colonial Theatre to function as it always had. The physical space and business alignments were linked to the retail, large-scale Broadway market. However, since 2006, that market for Broadway shows has deteriorated significantly. Emerson College’s downtown theater, which opened on Boylston Street in 1900, is one of the oldest in Boston. Though the College has done its part maintaining the Colonial for its intended purposes, it is now clear that those purposes are no longer viable. During the past several years, the College has leased the Colonial to two leading Broadway production companies, one of which did not renew its lease and another whose lease we did not renew. The Colonial Theatre was “dark” for the overwhelming majority of those years. In fact, the Colonial was only open on average 61 days per year, during the last three years, or to put it more starkly, the theatre was closed and inaccessible to the public on an average of five out of seven days. 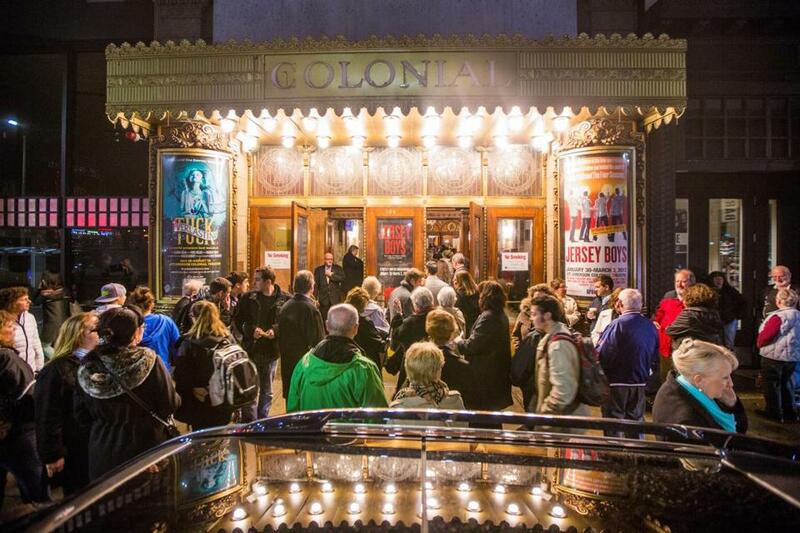 The Colonial is an undeniably beautiful and iconic theater. However, it is also very expensive to maintain. To keep it operating, the College must make a multimillion-dollar investment in vital upgrades to existing systems and spaces. The annual lease fees that we receive from Broadway production companies will not cover the cost of these upgrades, even over a 20-year period. Therefore, the College is exploring a variety of options, one of which would be for the College to assume the Colonial’s programming in a way that will breathe new life into the theater, meet our educational needs and the needs of local small and mid-size performing arts groups, as well as increase public access to a magnificent facility. This option, only one of several which the College is considering, would create a multipurpose theatrical performance venue by adding a self-enclosed black box theater that could be operated when the main stage is not in use, and, at the same time, expand Emerson’s social and dining spaces by converting the 600-seat orchestra section into a 300-seat modular, reversible dining area, modeled, in part, on Symphony Hall. This option would be in keeping with the national evolution of theaters from very large-scale venues to smaller, more flexible spaces, establishing Emerson’s leadership in adaptive, multi-purpose theater design. This option would not change the Colonial’s historical interior. In fact, we are working with the Landmarks Commission and other preservation organizations to make certain the interior is protected against such changes. It would create dining space for faculty, students, and guests, but would still permit use of the black box when the main stage is not in use, and the main stage when the dining space’s use would not impact rehearsals and performances. To meet the College’s needs, other options might include identifying a partner to run the Colonial so that it operates at a profit and avoids net losses for Emerson — not an impossible task, but a difficult one, given current fiscal realities. Whatever option is selected, a corollary aim will be to strengthen the identity of the College by creating our “front porch” along Boylston Street and across from Boston Common, animating a streetscape to inspire, embrace, and celebrate our great city’s emerging diversity. When a project like this is done well, everyone benefits. Lee Pelton is president of Emerson College.